« “Forgotten Hollywood”- It’s a Mad Mad Mad Mad Reunion! Maria Cole was part of entertainment royalty. Singing legend Nat King Cole, and their daughter Natalie, had many pop hits to their credit. Maria was also a fine entertainer in her own right during the Big Band era, and beyond. Working with the Benny Carter Band, and most notably, as the female vocalist for Count Basie and Duke Ellington Orchestra, Maria Cole also recorded several songs with her husband on Capitol Records. She was a sensation around the lounge room-circuit in Southern California and New York during the 1950’s. She appeared numerous times on the Ed Sullivan Show. Maria also briefly co-hosted a local daytime television talk show in L.A., Tempo on KHJ Channel 9. 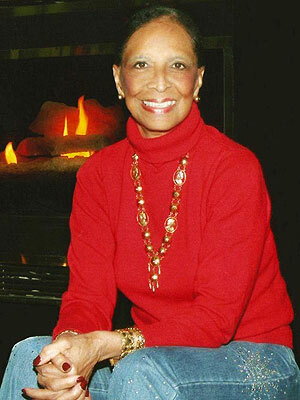 After his passing, Maria engaged in charity work, forming the Nat King Cole Generation Hope, Inc. Her children are asking in lieu of flowers, donations be made to their family charity. The son of Darryl F. Zanuck, who was also an award-winning producer of cinema, is dead. Richard D. Zanuck worked for his father at 20th Century Fox, rising to the ranks as chief mogul. He also headed Warner Brothers, and later formed his own production company, with an office at Universal. In 1976, Zanuck announced a much-publicized deal with the estate of novelist Margaret Mitchell to produce a sequel to Gone With the Wind. A book and script were prepared, but the project never materialized on film. Zanuck co-produced the 2000 Academy Awards ceremony. The Board of Governors gave the producer the Irving G. Thalberg Award in 1990. Richard D. Zanuck was 77. Sylvester Stallone’s son was found deceased; most likely the victim of an accidental overdose of prescription medication. Sage Stallone was an aspiring filmmaker and actor. His uncle was Frank Stallone. Described as devastated and grief-stricken, Sylvester Stallone appeared at Comic-Con on Thursday, the San Diego pop culture festival. He was promoting Expendables 2 with co-star Arnold Schwarzenegger. It’s not clear whether Sly remained at the convention, or returned to Los Angeles late Friday evening. The Stallone family is asking for privacy while the LAPD conducts an official investigation. Sage Stallone was only 36. This entry was posted on Saturday, July 14th, 2012 at 12:17 am	and is filed under Blog by Manny Pacheco. You can follow any comments to this post through the RSS 2.0 feed. Responses are currently closed, but you can trackback from your own site.